Hello! 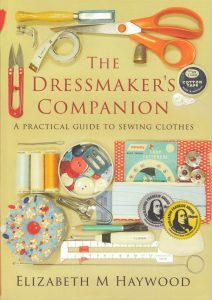 This week I’m sharing five books that influenced my own, The Dressmaker’s Companion. Maybe you have read or own them too. Do you have this book on your shelf? We had a copy in our family. Mum must have bought it fairly close to when it came out, because I always remember it. The 1977 edition is still considered the best. 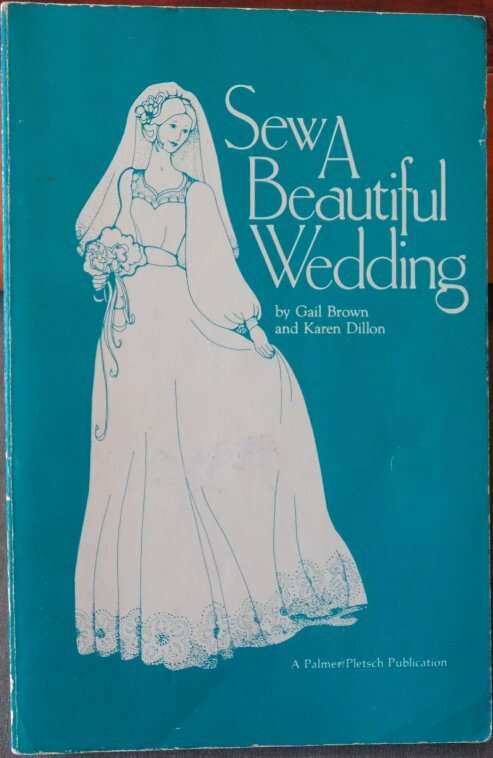 I read this book a lot as a teenager and when I was a fashion student. 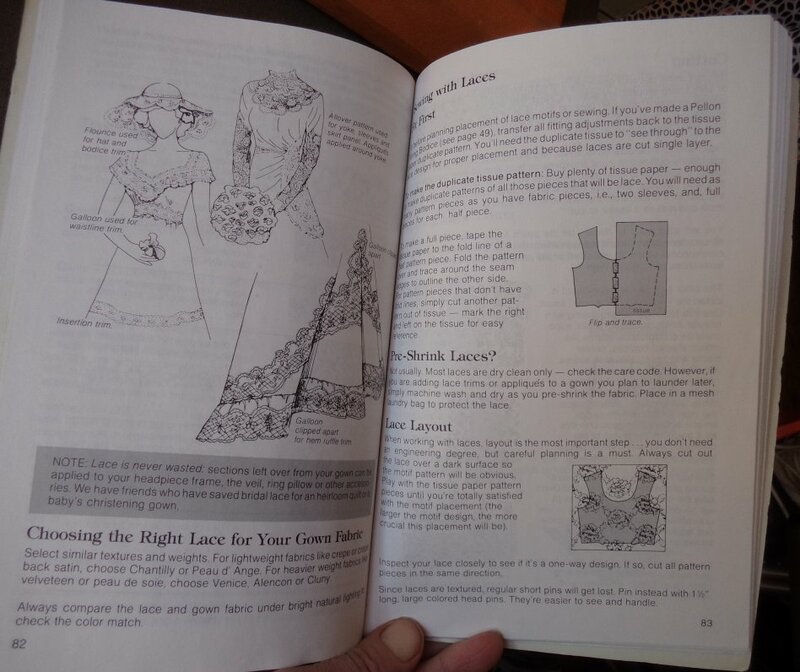 The book has clear illustrations, is easy to read and is well organised. 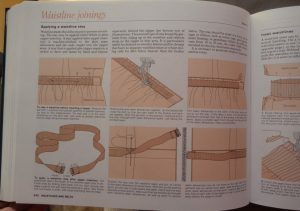 And, it contains no less than 12 ways to construct a bound buttonhole! Obviously the title influenced mine! (Did you know, by the way, that book titles aren’t copyright? That’s why we have books with the same title, especially biographies or how-to books. Otherwise I guess we would run out of names). 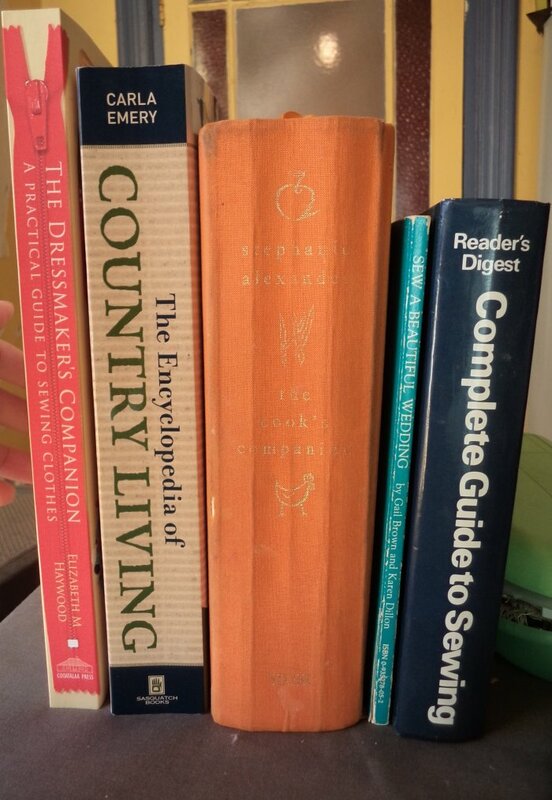 Stephanie Alexander’s writing style showed me that a how-to book doesn’t have to be written in dry, “just the facts” prose. She writes about cooking in a beautiful, evocative way, describing not just food ideas but how to enjoy food. Her writing is warm and down-to-earth yet has a rich quality not often encountered in cookbooks, and her passion for cooking and empowering others to appreciate ingredients and food is evident. 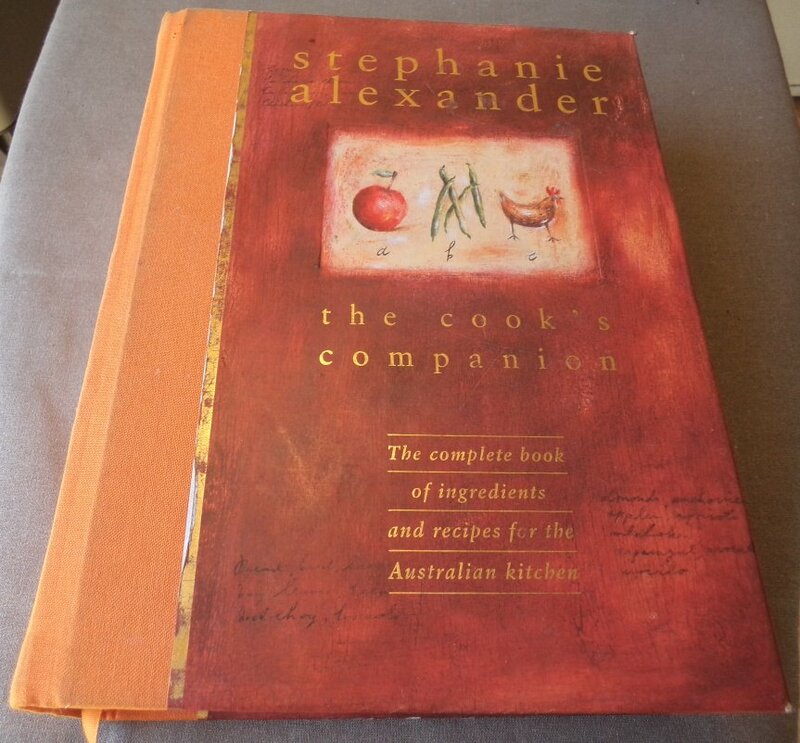 In spite of not a single photograph of a recipe, this book became practically standard in Australian kitchens, and I’ve never seen a copy in a second hand shop. 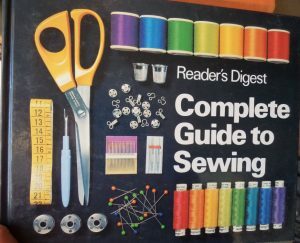 This beaut little book has much in common with other Palmer/Pletsch sewing books: it’s practical, friendly, generous, useful, good pictures and no fluffy self-indulgent prose by the author. It’s easy to tell that the authors are writing from their own experience. 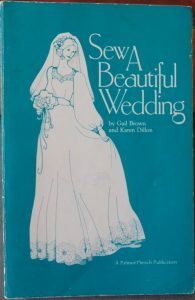 I referred to Sew a Beautiful Wedding when I made my own wedding dress. 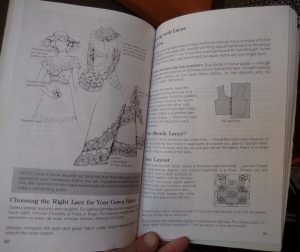 It was written in 1980 so some of the styles have (naturally) dated, but the sewing advice remains sound. 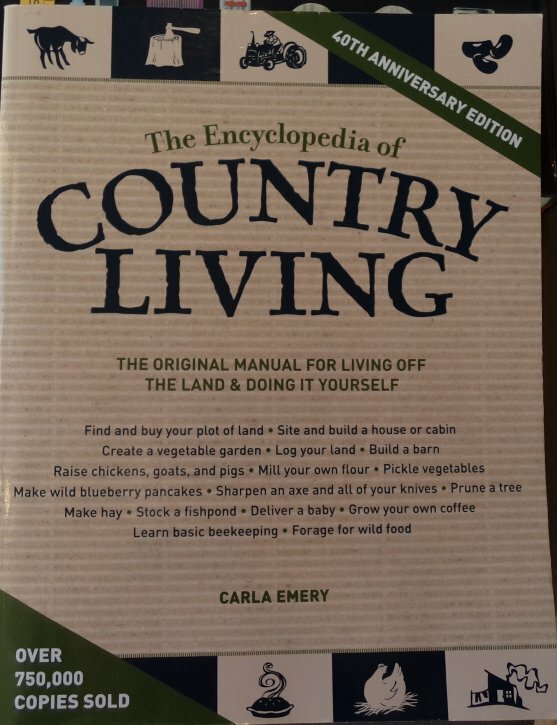 This hefty tome took Carla Emery 32 years to write, just 22 years more than my book! She kept adding new things and re-writing sections. She first published it using a mimeograph then later a copy machine, and she sold them in person at fairs etc and by mail order. 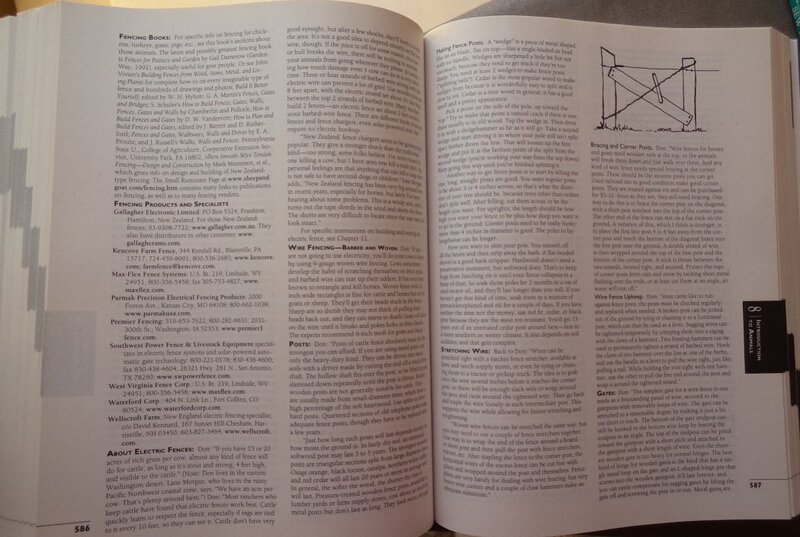 Bantam published it after the seventh edition and Sasquatch Books published the one pictured. Above all, this book shows that one woman can make a difference and that self-publishing is about realising your vision, persevering, and just getting started in the first place. 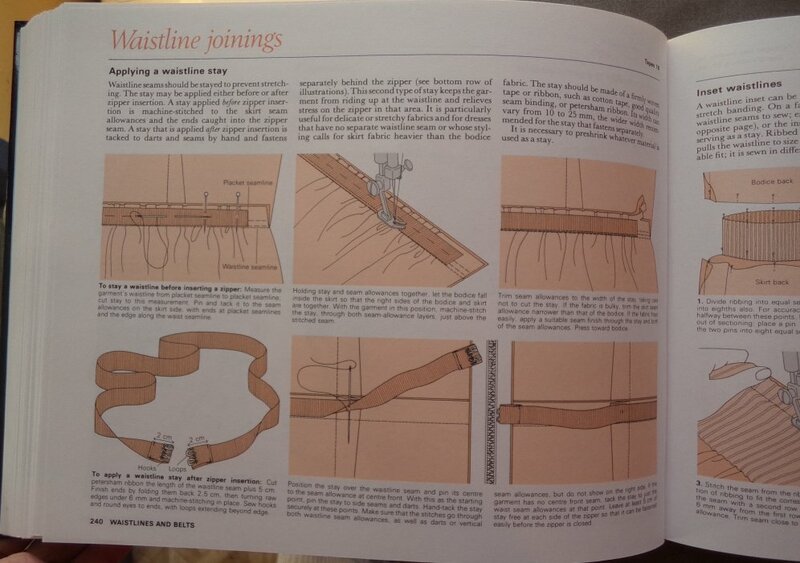 Another one from my family’s bookshelves. I remember Mum cooking from it while we looked at the pictures. I always wondered if that was Len on the front cover but I don’t think it is. The back cover has their roles reversed and everyone is happy. 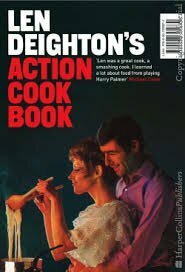 The Action Cook Book was published in 1965, a compilation of Deighton’s cookery strips published in the Observer newspaper with extra notes and information. 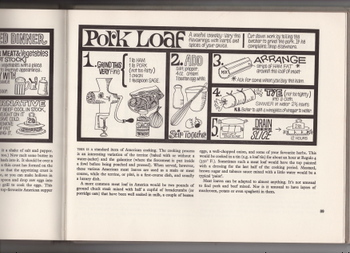 It’s considered one of the most unique and best cookbooks of the twentieth century. This was a cookbook to appeal to men, with the inference that cooking great food is as natural to the sophisticated modern man as driving a car, opening a bottle of champagne or firing a Walther PPK while wearing a tuxedo and no hearing protection. 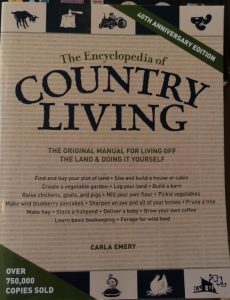 Having this book in the house didn’t seem to inspire Dad though; Mum still did all the cooking. His writing was breezy and knowledgeable. His drawings had an energy and charm about them and he used lots of different hand-drawn fonts. 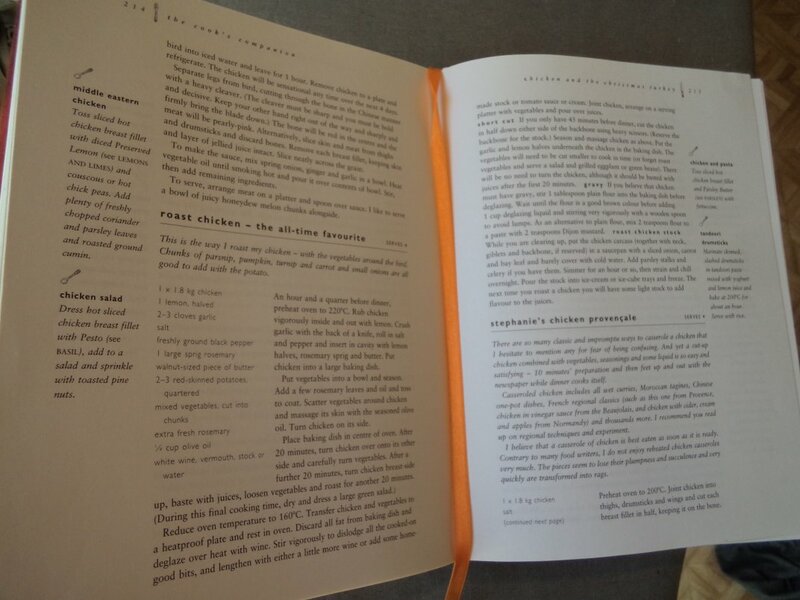 I very much liked the idea that a recipe/process could be distilled to a few succinct words and pictures, saying as much as possible with as little as possible. Well, there you have it. The books that influence us don’t have to be within our professional area, and the books we grow up with can make a big impression on us. 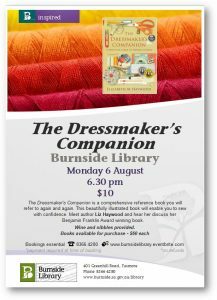 Do you live in or near Adelaide? I’d love to meet you! 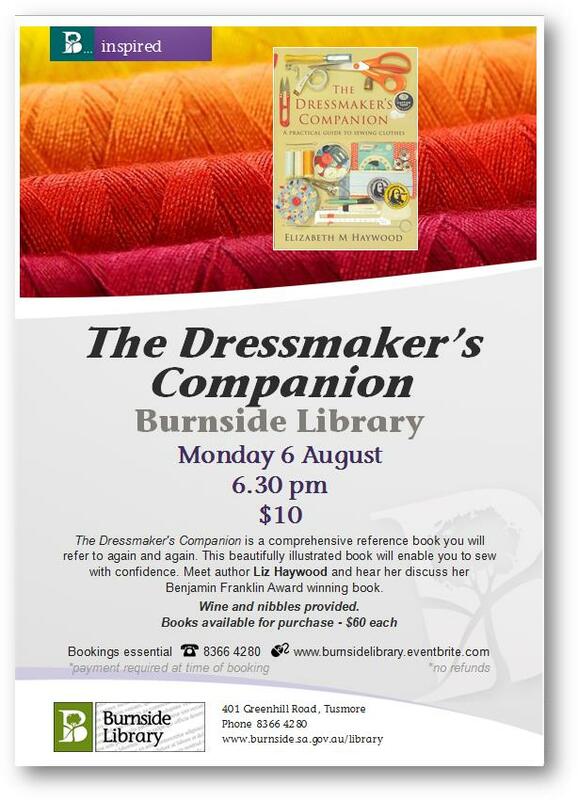 Come and join me on the 6th of August for a Dressmaker’s Companion book talk at the Burnside library. Details and bookings here.